A visit to ZSL London Zoo or ZSL Whipsnade Zoo is a magical day out, where you’ll get up close to fantastic wildlife, making memories and learning about some of the incredible animals we share our planet with. But did you know your Zoo visit is helping to fund vital wildlife conservation in over 50 countries? ZSL staff training forest guards in the Gir Forest National Park and Wildlife Sanctuary, India. As Director of fundraising here at ZSL, I often get to meet the incredible people whose donations and support help us to continue our work for wildlife around the world. I’m truly inspired by the vast range of supporters we have, from groups of school children, to our dedicated Fellows through to businesses such as Foster+Partners; I love hearing what’s inspired them to get involved, as we wouldn’t be able to carry out the huge variety of work we do without their support. But you might not know that when you visit ZSL’s Zoos, you’re also helping to protect wild animals around the world. 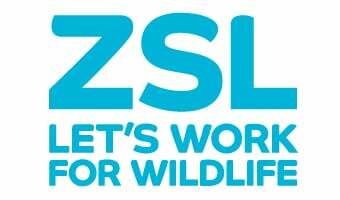 ZSL (Zoological Society of London), which runs the two Zoos, is a global conservation charity, so all our visitors play their part in ensuring we can enjoy a future with wildlife. A must-see at ZSL London Zoo is the new Land of the Lions exhibit a personal favourite of mine. Here visitors can be transported to the vibrant Sasan Gir, home of the majestic, yet sadly endangered Asiatic lions. Today there are only around 500 Asiatic lions left in this small area of India. ZSL’s conservationists are working in the real Gir Forest. We have been training forest rangers and supporting local vets using skills learned with our very own Zoo lions to support and conserve the small threatened population of wild lions. We're using our expertise to help protect wild Asiatic lions in India. There can be many different ‘wow’ moments during a trip to one of our Zoos, and watching Thug and Nicky, our pygmy hippos wallowing in their warm pools, is a real treat. The endangered pygmy hippo is an EDGE species – meaning it is both Evolutionarily Distinct and Globally Endangered. ZSL created the EDGE framework to shine a light on the most unique and at risk animals in the world – ones that if lost, could never be replaced, a very sad and terrifyingly real prospect. To protect these weird and wonderful species, the EDGE of Existence programme, run by ZSL, trains conservationists in developing countries to take the lead in researching and conserving their local EDGE species. So far, 68 EDGE conservationists have been trained in 36 countries to try and halt the decline of 63 extremely rare and important species – from river dolphins in India, to Bactrian camels in Mongolia. Our EDGE programme trains the next generation of global conservationists. No trip to ZSL London Zoo would be complete without visiting our Aquarium. In fact, the Zoo was home to the very first public aquarium in the world! Inside the Aquarium, you’ll see amazing fish, corals, turtles and seahorses, and an exhibit of plastic bottles. Wondering about that last one? In 2016, we launched #OneLess, a campaign led by ZSL and partners to make London the first capital city to stop using single-use plastic bottles . Plastic pollution is one of the major threats to the world’s ocean and studies have shown that between 5.5 and 14.6 million tonnes of plastic waste enters the ocean every year, degrading habitat for marine life. If plastic pollution is not tackled, it’s predicted that by 2025 there will be one tonne of plastic for every three tonnes of fish in the ocean, a statistic none of us want to see become a reality. Both ZSL London and Whipsnade Zoos have stopped selling single-use plastic water bottles, and instead visitors can buy ocean-friendly alternatives or refill a reusable bottle. Each of us doing a little bit in our own way can make a big difference, imagine if we all made a New Year resolution to try and use less single-use plastic in our daily lives, all it takes is a small change in behaviour to see an impact, why not give it a go yourself? Over at ZSL Whipsnade Zoo, you will be mesmerised by the majesty of the fastest land animal on earth at Cheetah Rock. In the exhibit, become an amateur conservationist and have a go at identifying cheetah by their unique markings, just like our conservationists do in the field. ZSL has been working to protect cheetah in the Serengeti since 1991, the longest running in depth study of wild cheetah populations. This work has been critical in understanding the range and behaviour of cheetahs, which has informed plans for their protection. I’ve seen the work we do in Africa first-hand, it’s so important we continue to protect incredible animals like the cheetah, so future generations can enjoy them. Cheetah in Tanzania, taken during the ZSL Institute of Zoology's ongoing cheetah conservation programme. Imagining a world with iconic species gone from the wild is heart-breaking, I can’t begin to think about the possibility of my children living on a planet without wild tigers or elephants, and yet that’s the future we’re facing if species decline is not halted, it could become a reality in our lifetime unless we act now. Our Zoos lead the way in not only supporting and promoting the conservation of animals and their habitats, but actually doing it. We know that wildlife is disappearing. The latest data from the WWF and ZSL Living Planet Report shows that global wildlife populations are on course to decline by 67 per cent by 2020. Your support, by visiting our Zoos, becoming a Wildlife Champion, or through the purchases and donations you make, enable us to keep working for wildlife all around the world. In this season of giving, your generosity can ensure ZSL can continue to work for a world #WithWildlife. Donate £3 by texting ZSLWILDLIFE to 70300. Support ZSL to help ensure a future #WithWildlife.